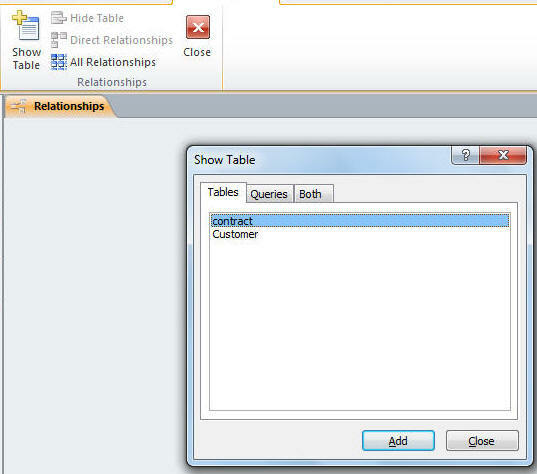 k. Define a relationship between two tables. 11. 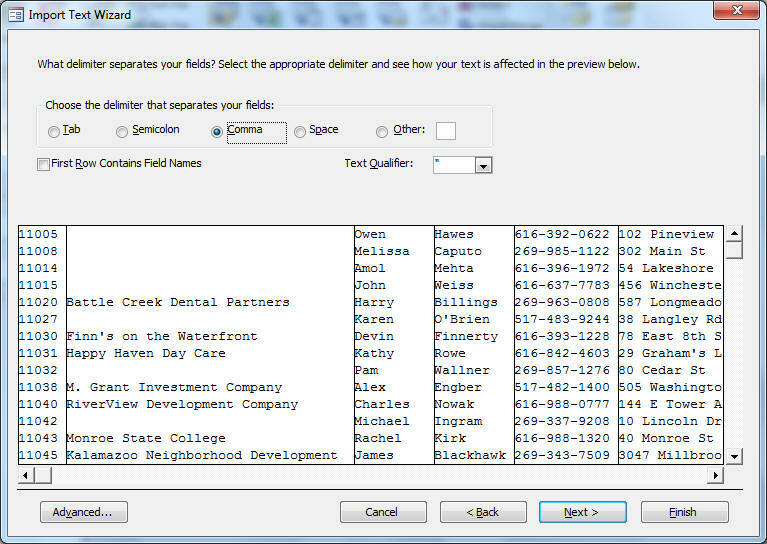 The Field Size property defines a field value's maximum storage size for text, number, and Auto Number field only. 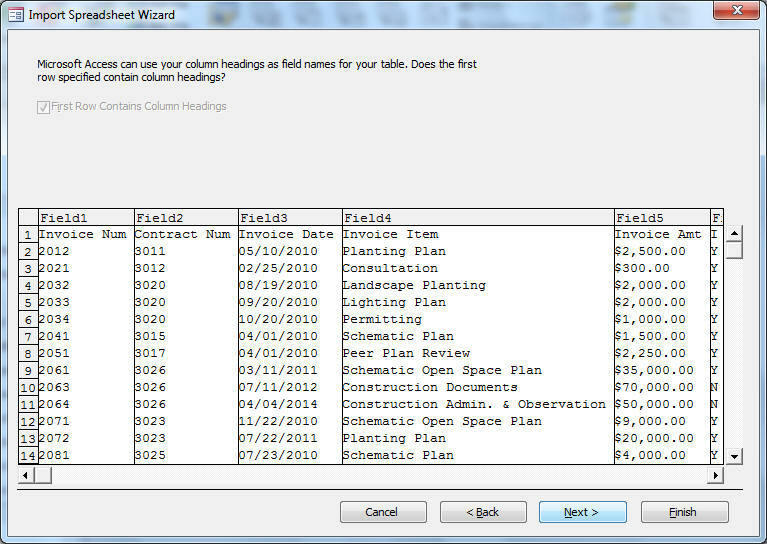 In design view you define or modify a table structure or the properties of the field in a table. f. Here you can select one of the date types or you can specify a custom date in the format box. c. Is the 1st index of the table. 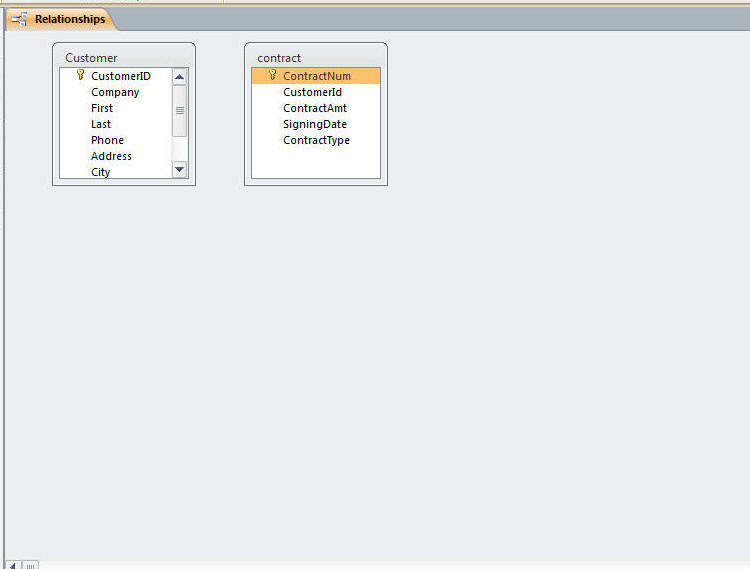 d. Specifying a primary key in design view. e. In this case we are going to make Id the primary key. Note that the index property before selecting it as primary key is no. Click the primary key button. f. There is now a key button next to the id field name, and the index now reads yes(No Duplicates). 14. Modifying the structure of an access table. a. to move a field in the design structure click the row selector for the field you want to change, click it a second time and hold down the mouse, then drag the pointer to the position you want the field to now occupy in the field list. b. Add a field between two existing fields: select the row below where you want to add a field, in tools group clickinset rows button, define the new field. 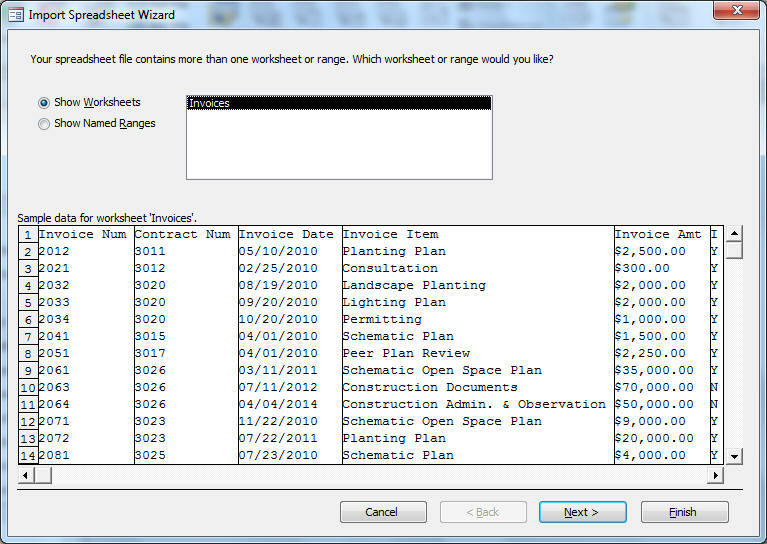 c. To modify a fields properties, click on the field in design view, press f6 or click down in the properties menu, make the changes you want to the fields properties. 15. Importing data from an excel worksheet. a. 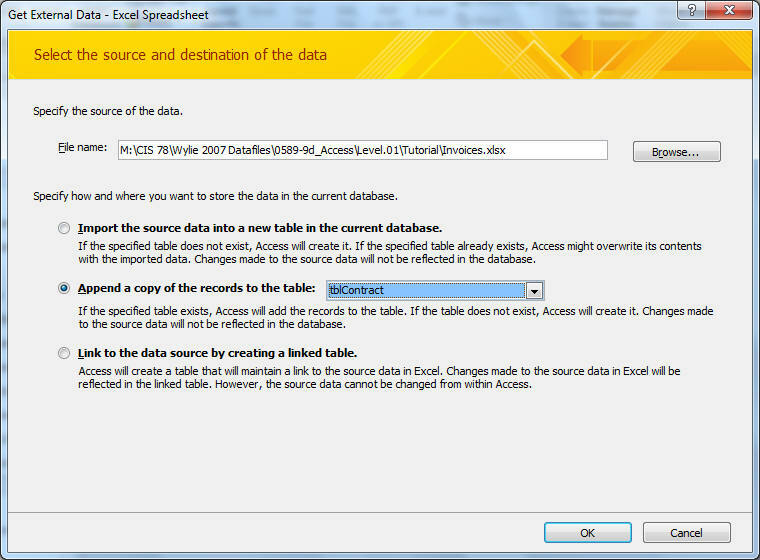 You can copy and paste from an open file or you can import which allows you to copy the data from a soure without having to open the source file. Note: make sure your the column headings in your excel spread sheet match the filed names in the database, not the caption names. 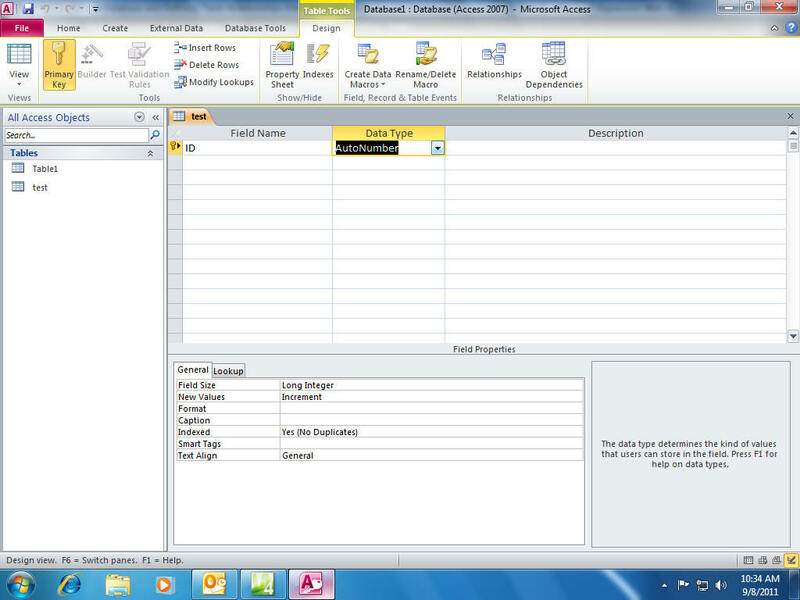 c. click browse and locate the excel spreadsheet that you want. 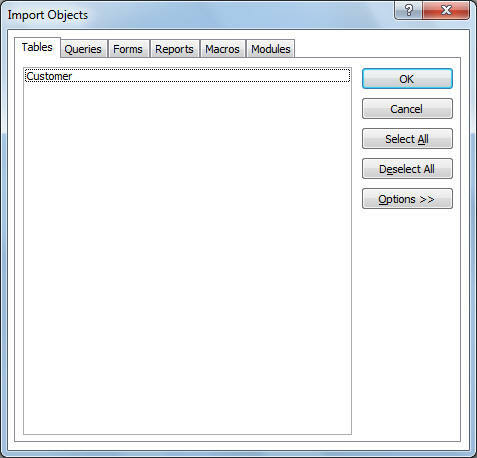 d. click append a copy of the records to the table and select the table you want to import to. 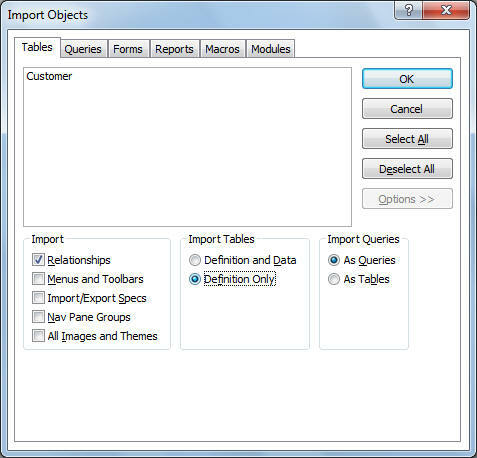 16.Creating a table by importing an existing table structure. 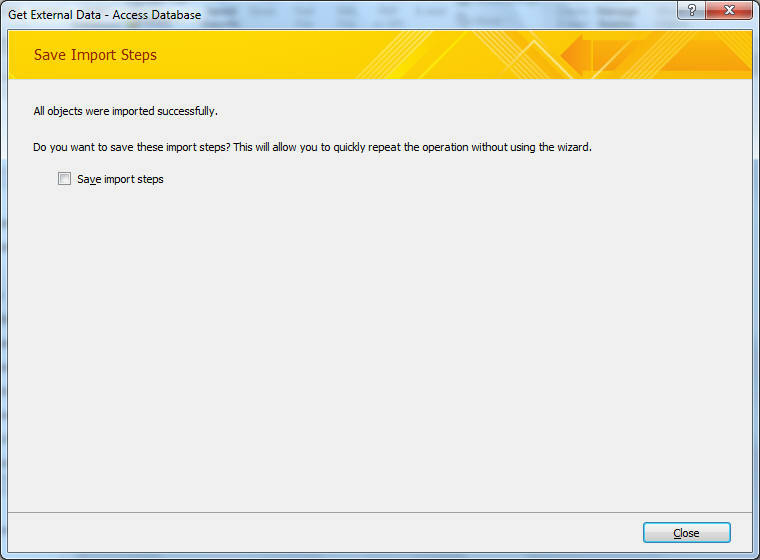 g. Click close without saving import steps. 17. 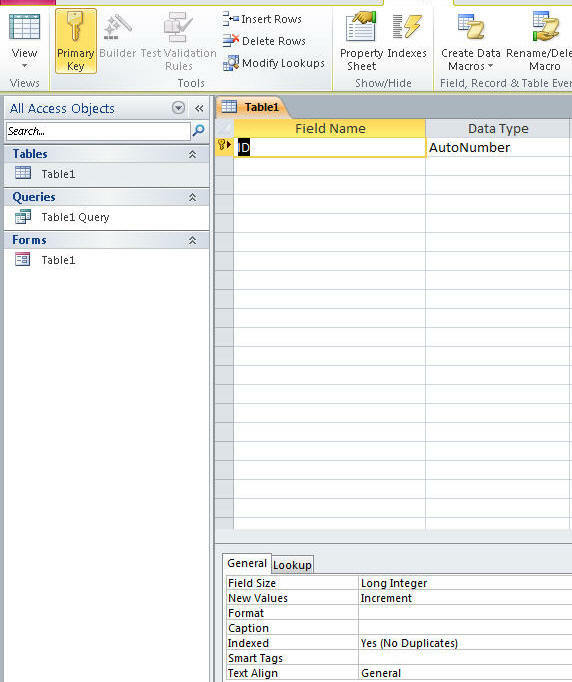 Data type gallery allows you to add a group of releated fields to a table at the same time. 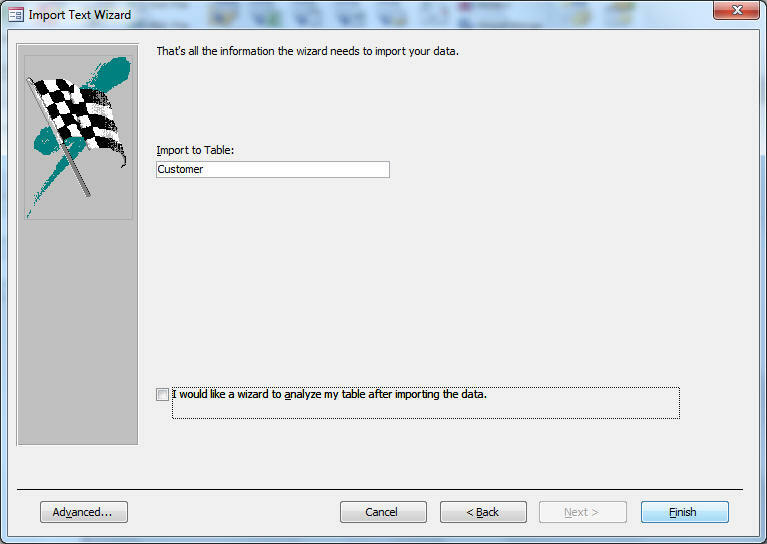 Insert your cursor in the datasheet in the field that you want the new fields to be inserted to the left. c. click address under Quick Start which will insert the address, city, state Provine, Zip Postal, and Country Region fields. a. 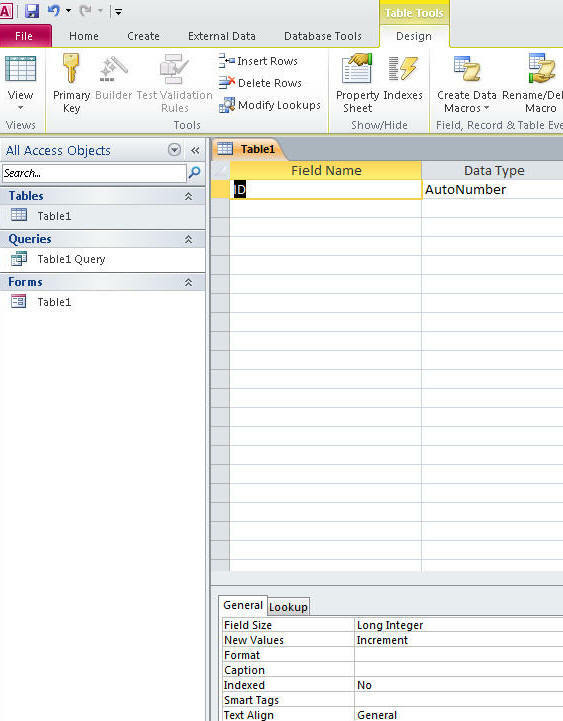 In datasheet view, click the column heading for the field you wasnt to delete, then in the add delete group on the fields tab, click the delete button. b. In design view, click the field name box for the field you want to delete, in the tools group on the design tab, click delete rowes button. 19. Rename fields in design view. Put the cursor in the field name and make the modifications to the name you want. 20. Change data type in design view. 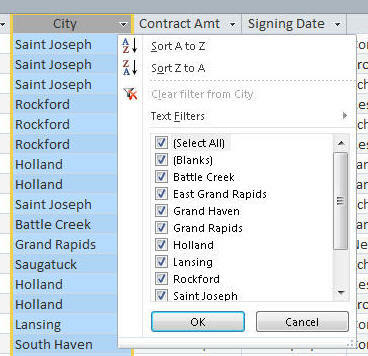 Select the field you want, click the right side of the data type box, select the new data type you want and modify the properties that you want. 21. 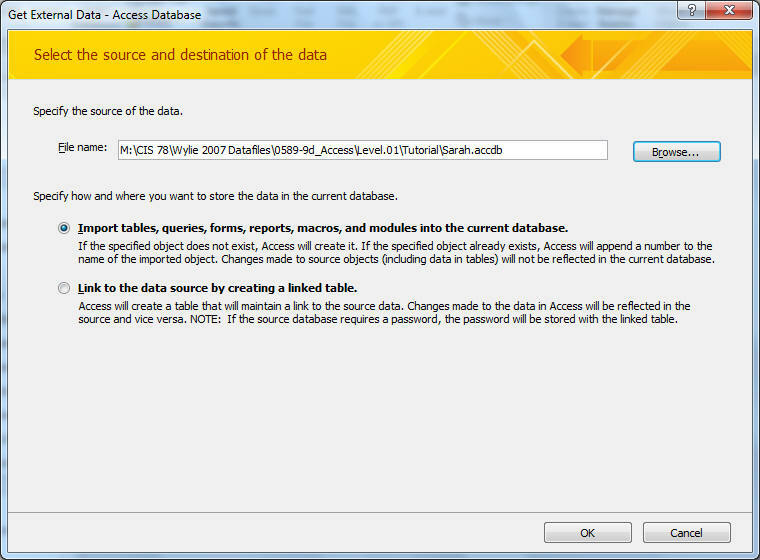 Adding data to a table by importing a text file. 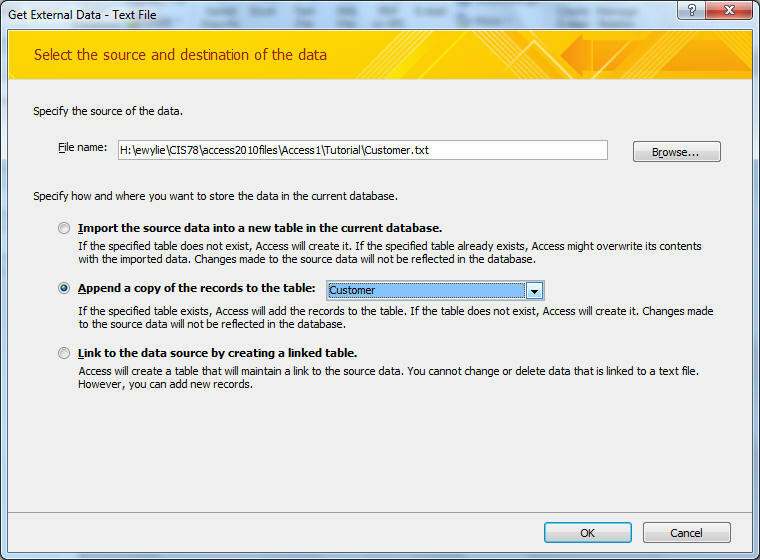 a.Click External data tab, in import & links group, click text file you will see:a.
a A join is the process of relating tables together with a common field. b. A one to many relationship exists between two tables when one record in the primary table(the one) matches zero or many records in the related table(the many).And one record in the releated table matches only one record in the primary table. c. Referential integrity - you can not enter a record in the common field of the related table unless it already exist in the primary field of the primary table. This prevents orphaned records in the related table. d. Cascade update permits the change in the value of the primary key and changes the appropriate foreign key values in the related tables. e. Cascade deletes- deletes record in the primary table and deletes all records in related tales. Do not check this one. 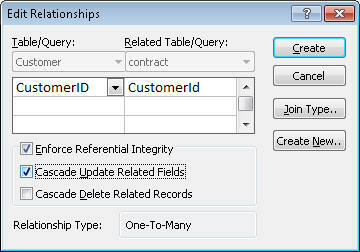 f. The relationship window illustrates the relationships among the tables. Relationships can be created, modified, or deleted from here. 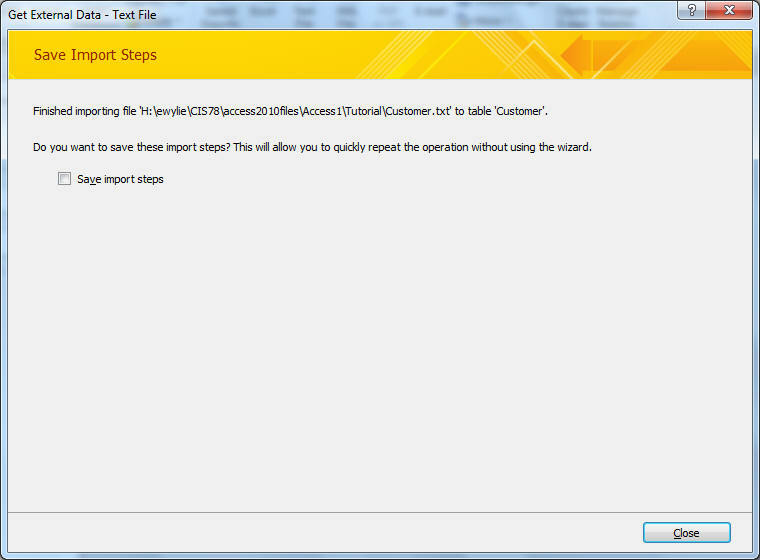 j. click enforce referential integrity, click cascade update related fields, click create.